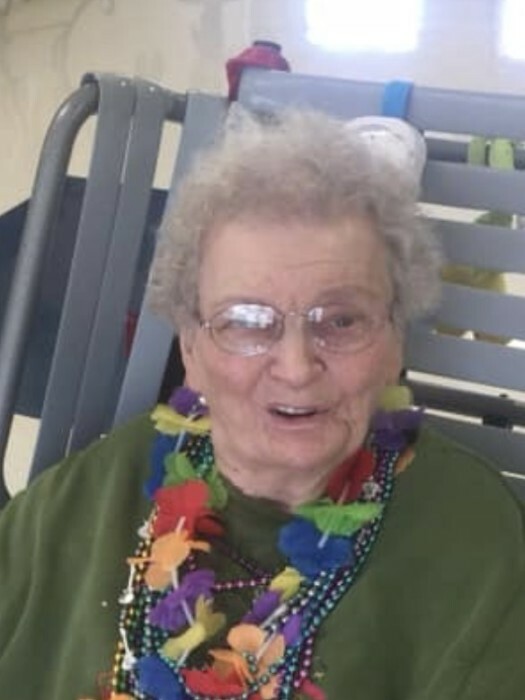 Audrey Faye Brackin, 88 years old of Lawrence County, passed away Sunday, March 24, 2019 at Decatur Health and Rehab Center. The graveside service will be at 1:00 PM, Tuesday, March 26, 2019 at Donald Cemetery, Town Creek, Alabama with Bro. Sam Wallace officiating. Burial will be in Donald Cemetery. Audrey loved people and loved to collect her dolls. Survivors include her sister: Betty Sue Brannon and brother: Devon Brackin and numerous nieces and nephews. The family extends special thanks to staff at Decatur Health and Rehab and Comfort Care Hospice. In lieu of flowers, memorials may be made to Decatur Health and Rehab in memory of Audrey.